A FIRE on-board a fishing trawler moored at the harbour was extinguished a short time ago. Fire crews responded to the blaze shortly before 10am. 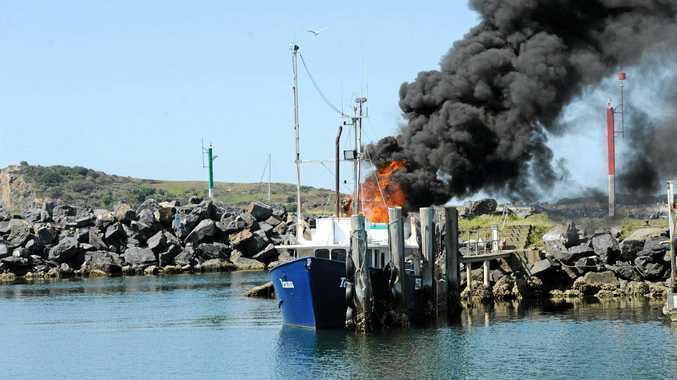 Fishermen from neighbouring boats assisted the Teanna trawler's skipper in extinguishing the fire, which began in a basket of foam fishing floats on the boat's roof. The cause of the fire is not yet known although it is believed nearby welding may be to blame. There was no significant damage to the vessel. Trawler fire: Trawler catches fire while moored at Coffs Harbour.